The World Space Flight pages are anything BUT mobile friendly! That is a sad fact. The good news is that that will be changing. The changes will be gradual, a few MAJOR changes coming first, followed by more general changes. The first big change which will be rolled out will involve the menus on the left side of practically every page. As it is, you have to enlarge the area just to read it, much less actually click on something. America in Space already has the beginning of that change on MOST of the pages. Once the menus have been adapted, then there will follow changes in the content layout. Be patient. Things will be getting better. The subject(s) has come up recently about the use of html tables, css, and mobile browsers. Looking at the Sphider search pages, there is room for improvement. So work has begun to alter the code to do away with html tables and expand the use of css. The result is that the appearance of the search page layouts using css is nearly identical to look using html tables. The kick is, it makes it easier to customize the look from template to template. Even a new template has come about. Named “mobile”, it is much easier to see/use on a mobile device. The search page will also detect the use of a mobile and force the mobile template even when it is not the template set in the configuration and seen by anyone NOT on a mobile. The changes have already been made and will now undergo a period of testing. Most likely, Sphider classic will see the new version first, with PDO a short time later. If this will also carry over to the PostgreSQL and SQLite variation has not yet been decided. Core functionality will have no change. This new release will be for benefit of the user’s clients, the people who actually use the search feature. with a desktop or laptop. Then visit the same link with a mobile device. NASA recently announced that an unmanned test of the SpaceX Crew Dragon to the ISS will take place on 7 January 2019. The Boeing Starliner will have a similar test sometime in March. If all goes well, The first manned flight of Crew Dragon will be sometime in June with the Starliner doing so in August. But there are no guarantees. Both vessels do have issues. With the Crew Dragon, there are parachute issues and, more importantly, concerns about the high pressure helium tank. Remember the tank failure on 1 September 2016 that took out the Falcon 9 and the entire launch pad? Personally, I am concerned about SpaceX’s procedure in which the crew is boarded BEFORE the Falcon 9 is fueled. The crew has to sit atop the rocket while fueling takes place. I know SpaceX fuels at the last minute because they use super-cooled propellants for added power. But I have to ask, is a little extra efficiency more desirable than a reduced risk to human life? For purely cargo or satellite launches, go for it. But when lives are at stake? I like what SpaceX has accomplished. They are definitely daring. But then again, there is a fine line between between being daring and being cocky. Cocky can get you killed. It was found that all variations of Sphider 2.0. * had a flaw in the search capability. While earlier versions allowed wild card searches (*), or not contained searches (-), this ability was inadvertently blocked in 2.0! It seems the work to improve security and block undesirable searches went too far! This is resolved in all variations of 2.1 – Classic, PDO, PostgreSQL, and SQLite. It is Thanksgiving Day here in the United States. Many families have traditions for Thanksgiving. My family when I was growing up was no different. This is the story of one of those traditions. It began about 1955 or 1956 when we got our first television set. It was on the first Thanksgiving after getting the television that my father discovered the Macy’s Thanksgiving Day parade. He would turn on the television, set the channel for the parade… and leave the room to do other things, never to return. But God help the soul who, in his absence, attempted to change to another channel! That was strictly forbidden! So every Thanksgiving, we would turn on the television, tune in the Macy’s Thanksgiving Day parade, … and leave the room to find other things to do. Nobody had any real interest in watching the thing… but it just HAD to be on. After I had left home and had my own family, the tradition died, at least in my house. If we went to visit the folks on Thanksgiving, the parade was on… with nobody watching. My father didn’t miss a Thanksgiving Day parade (which he never watched) a single time until he died in the early 1980’s. A demonstration of Sphider can now be experienced at the Sphider Home site demo page. You can search the sites content and images, as well as a sample of an RSS feed. You can play around with the Sphider admin console, although naturally you can’t commit the changes. Still, you get an idea of the look and feel of Sphider under the hood. 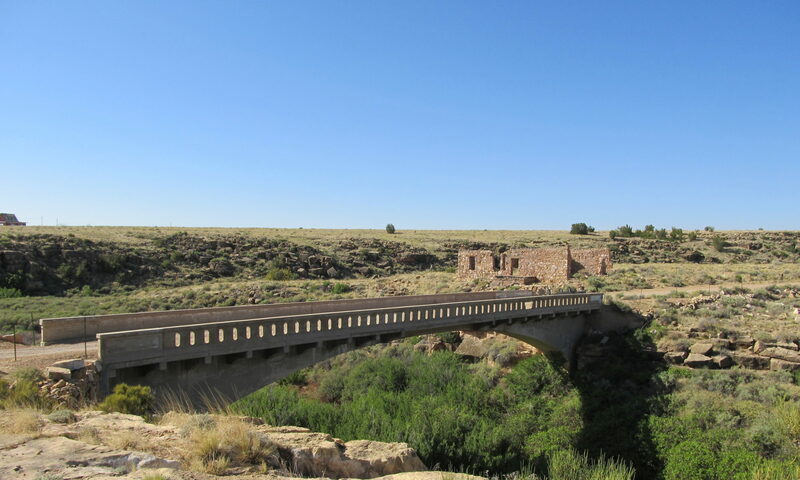 The header photo you see is of the Canyon Diablo bridge at Two Guns, AZ. This bridge was built in 1915 and served the National Old Trails Road. In 1926, this section of road became part of Route 66. The bridge was the Canyon Diablo crossing for 66 until 1938 when Route 66 was slightly rerouted in the area. The ruins on the far side of the bridge served as a store for many years. About three years ago, I attempted a port of Sphider to WordPress. What did result was buggy and incomplete. The Search tab on this blog actually contains a sample of what came out of the effort. 1. It gives more results that is really desired, making it pretty useless. 2. If the number of results goes beyond one page… well, it breaks if you try go to the next page! 3. Suggestions don’t even begin to work. 4. The effort was based on Sphider 1.5.1, and PHP has advanced since then. Now I can’t even get a screen to do a re-index if I wanted to. 5. It is VERY difficult to integrate into a WordPress theme. 6. There are other issues, but they don’t come to mind off hand. So, in a nutshell, that attempted port was a dud. An laughable and unmitigated disaster might be a good way to describe it. 1. 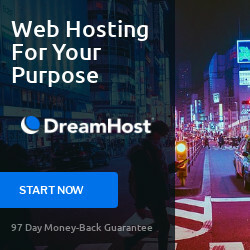 History has taught that not all hosts provide the MySQLnd module for PHP. Therefore any future WordPress port would need to be based on the PDO Sphider. Version 2 supports PHP 7.1, so that would be the beginning basis. 2. WordPress uses its own class, the wpdb Class, to interact with the database. So code would need to be changed to use wpdb. That is a LOT of code… BUT… why would the spider part of Sphider need to use the wpdb class? Spidering (indexing) itself really doesn’t need to be integrated into WordPress, does it? All it is doing is populating the sphider database. So why couldn’t the spider and search functions of Sphider be separated? The only thing those two functions currently share with each other is the database connection. The current spider part could remain as is (with some modifications specific to WordPress page needs), and only the search function be rewritten to use the wpdb class (with its own database connection). Both functions would connect to the same database but in different manners. 3. Would a WordPress Sphider really need to use categories as used in Sphider? I am thinking not. So scratch that capability. I don’t think we need RSS feed indexing or image indexing, so those can also be cut. We are only concerned with a single site (the blog on which it would be installed), so more code simplification. This all reduces the size and complexity of spidering (indexing). 4. Perhaps embedded into the indexing function would be the elimination of looking it unnecessary places, like /wp-json, /category, /feed… This would reduce the size of the database and eliminated some of the redundant “finds” when a search is performed. 5. Naturally, the search function would eliminate RSS and image search functions and retain the keyword search. 6. Try to get the search page to more easily integrate with themes. 7. Get the multipage search returns to function, forward and backward, without producing an error. 8. Get suggestions to work. 1. Is there any real interest in a Sphider for WordPress? 2. Anything I’m missing in thinking ahead? 3. Anybody have any experience integrating content into WordPress themes? Care to share? Feedback would be appreciated. In fact, without feedback, I may conclude the whole idea is more trouble than it’s worth.